Vendor Types may be costume, equipment, book, apparel, etc. 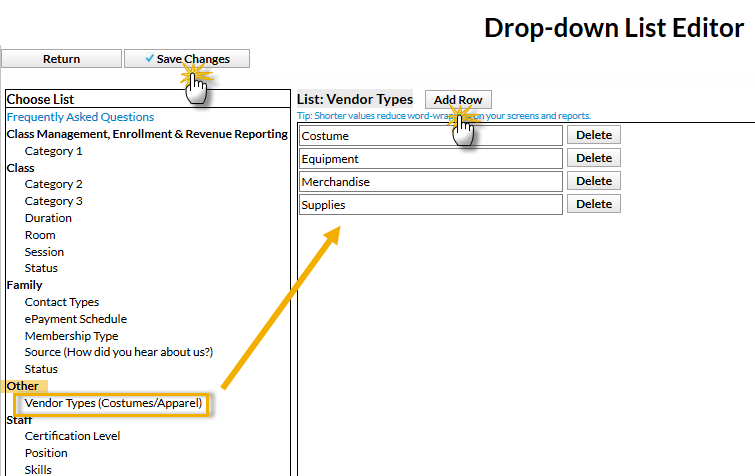 Create vendor types from Tools > Edit Settings > Drop-down Lists > Vendor Types (Costume/Apparel) in the Other section. Sizes are usually based on the vendors of your choice. Enter all the sizing standards for each vendor. 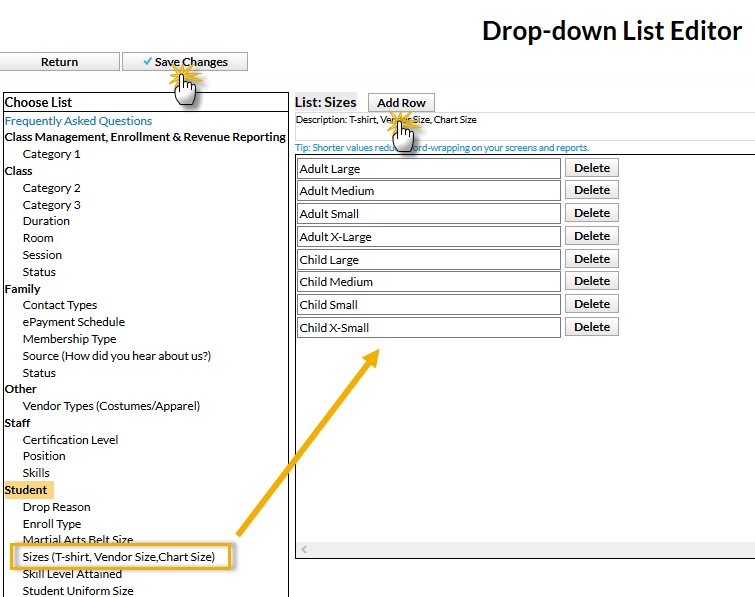 Create sizes from Tools > Edit Settings > Drop-down Lists > Sizes (T-shirt, Vendor Size, Chart Size) in the Students section. For specific instructions on using Tools > Edit Settings > Drop-down Lists, see Customize Drop-down Lists in the Getting Started Guide.